Nowadays the stores offer a wide selection of baby food for every taste and budget. However, many young mothers prefer to do purees, baby yourself. Freshly prepared puree your own vegetables and fruits not only not inferior in quality to the store, but also contains more vitamins and nutrients. 150-200 grams of fresh fruit or vegetables, a small pan, blender, children's water. To prepare an infant is not difficult. 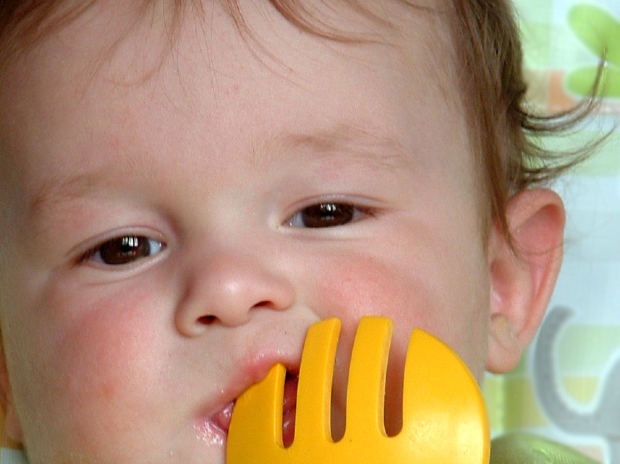 It is important to choose what vegetable or fruit you want to start solid foods. The Ministry of health and Institute of nutrition suggest to start to lure a infant not earlier than 6 months. With the exception of children who from birth are bottle-fed. These kids are introduced to mashed before 4-5 months. Perfect first purees for baby from squash, broccoli, cauliflower, carrots, pumpkin. Later, with 7-8 months introduce mashed potatoes, green peas - these vegetables contain starch that is poorly digested by small children. Most importantly, to start feeding you have to choose one vegetable or fruit. For mashing take ripe, fresh vegetables with a peel. Best of all, if it's vegetables grown on their beds. Wash them thoroughly and peel. For the first time is going to be 150 g of vegetables. Slice the zucchini and other vegetables in large cubes, cauliflower and broccoli divide into florets. Take a small pan and pour the vegetables children water. The water should barely cover the vegetables. Cook the vegetables on low heat with lid on until soft. Do not overcook vegetables may worsen the taste. You can prepare the vegetables for the mash in the steamer for 10-15 minutes. Do not salt vegetables, this is not necessary. The cooked vegetables in a hot mash in a blender until smooth. You can wipe them through a sieve, as did our moms. Sometimes in ready mashed potatoes add a little breast milk, milk formula, a drop of vegetable oil for a more delicate taste. Fruit purée made from fresh or cooked fruit. Be sure to remove the peel from the fruit and thoroughly clean the core. Try to accustom your baby to the natural taste of fruit and not add to puree the sugar, which can cause allergies. If the baby does not eat vegetables, try to make fruit and vegetable purees. Nice to have a mix of Apple and zucchini, Apple and pumpkin, Apple and carrot. Store fresh prepared mashed potatoes in the refrigerator, in a sealed sterile jar, for 24 hours. Do not re-heat mashed potatoes that were undernourished kid, it could get germs. If puree is too thick, dilute it with water in which cooked vegetables or fruits. It is better to use when cooking special baby water.